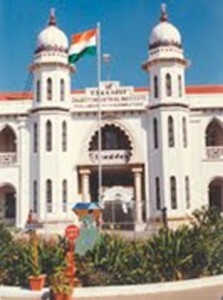 The PSG and Sons Charities Trust was established in 1926 based on the above sentiment of its founder, Shri P. S. Govindasamy Naidu. Since its inception, PSG and Sons Charities Trust has been contributing to the social development of the community through its educational, industrial, and research institutions. The PSG group of educational institutions imparts education from the primary level to the doctoral level in a wide range of areas, including arts, sciences, engineering, nursing, pharmacy, physiotherapy, management, and medicine. With approximately 14,000 students supported by 975 teaching faculty and staff, PSG can be counted among the largest educational groups in India. As part of the Diamond Jubliee Celebrations of the PSG and Sons Charities Trust, the PSG Institute of Medical Sciences and Research (PSG IMSR) was founded on September 30, 1985. The Institute has grown by leaps and bounds to become a center of excellence in postgraduate and undergraduate medical education. The Department of Medical Education was established a couple of years after the establishment of PSG IMSR, long before medical education requirements were mandated by MCI. The department strives to improve the quality of medical education and to make teaching student centered, competency based, and community oriented. It is steered by a “Core Group” of more than 20 faculty members, who have received advanced training in medical education in India and abroad. 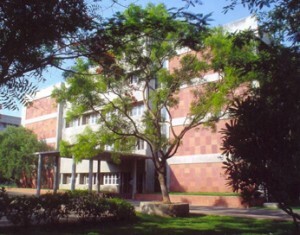 The department conducts various faculty development programs, including workshops on teaching-learning and evaluation, enhancing effectiveness of clinical skills training, research ethics, human resource development, and research methodology for postgraduate students and faculty, in addition to orientation sessions for “freshers” to enhance their learning skills. These workshops have been opened to faculty from other institutions in the state of Tamil Nadu. Periodic feedback from students is used to revise training programs, including the internship, during which emphasis is given to providing opportunities for learning skills and procedures required to practice as a physician. The PSG IMSR Department of Medical Education is home to the PSG-FAIMER Regional Institute.